Has SeaWorld laundered a free-born orca? By description, 'illicit trade - not legally permitted or authorized, occurring under the radar, involving activities that are not considered morally acceptable' would all fit under the guise of laundering. According to a formidable white paper that has just been released, SeaWorld Entertainment, Inc. has been the principal beneficiary of an act of illicit wildlife trade for at least the last four years and the for-profit franchise hasn't been working alone. Loro Parque in Spain and Dolfinarium Harderwijk in the Netherlands are complicit in SeaWorld's act to launder a free-born Norwegian female orca right under everyone's noses. 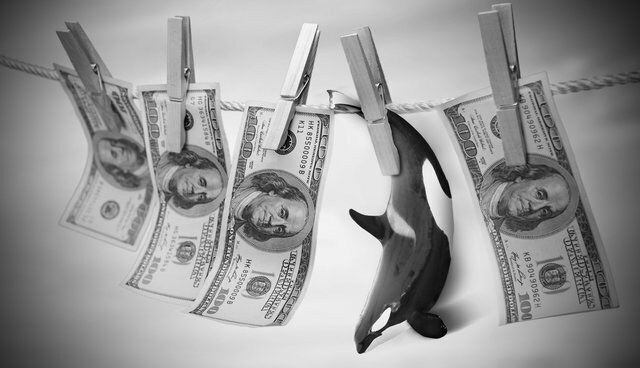 The white paper, authored by orca expert Dr. Ingrid Visser, Ph.D. and attorney Matthew Spiegl, J.D., unravels American, Spanish and Dutch, as well as European Union law to shine a light on this duplicitous sleight of hand made by three prominent players in the marine entertainment captivity industry. The young orca in question, known as Morgan, was found alone and emaciated off the Dutch coast in 2010 and was captured by Dolfinarium Harderwijk for rehabilitation. According to the permit she was rescued under, Morgan should have been returned to the wild, with over 30 experts agreeing she was a suitable candidate for release. 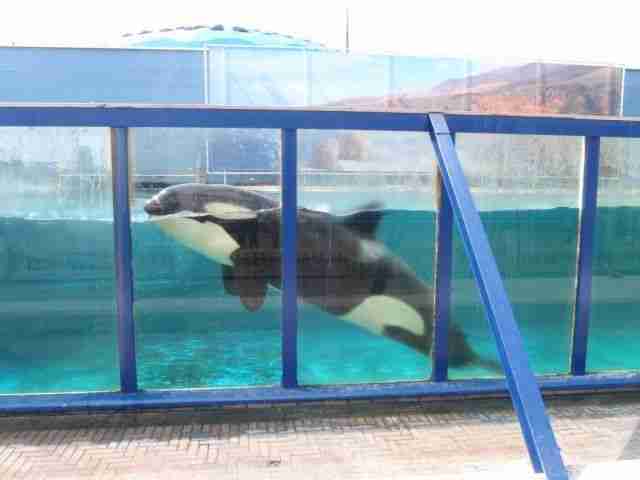 However, despite this, the Dutch courts decided that Morgan should be sent to Loro Parque. Morgan still resides at the Spanish park, living in a concrete tank with five SeaWorld-owned orcas, four of whom were flown, on loan, to Loro Parque in 2006 (with the fifth being born at the park the same year Morgan was captured). Somewhere along the line, SeaWorld has laid claim to Morgan too. Visser explained, "As Morgan's case unfolded it was abundantly clear that there were a number of things that weren't quite right. Aspects that should have been addressed in the Dutch Courts were either brushed aside or ignored. At one point the Judges just stripped Morgan of all her legal rights, for the convenience of simplifying their understanding of the tangled mess." Over time, Visser found that, "The more we dug into it, the more it became apparent that we were right – something fishy (excuse the pun) was going on." In the half-decade since Morgan was captured, Visser and Spiegl have been gathering details through repeated requests under the various governments' 'Freedom of Information' legislation. They have relentlessly pursued tiny details that have resulted in this trail of documentation, which may very well be the best documented case of whale laundering yet. Despite spending so much time on this research, Visser continues to be amazed, saying, "Even now there are just layers and layers of laws that have to be pulled apart – and when you get to the middle you find Morgan 'hidden' in there." Visser went on to state, "I've not given up on Morgan and the public who care about her haven't given up either. Now that we have exposed this complex laundering process, I hope that the Authorities will revisit her case, as she deserves better than to just be abandoned by them." From a detailed analysis of the report, it appears that there was (and perhaps continues to be) a virtual game of ping-pong with respect to who is now legally 'responsible' for Morgan, and who actually does legally own her, or perhaps more to the point, if she can even be owned. The white paper shows that there is a dearth of publicly available documentation and a lack of transparency overall. The Netherlands State Secretary, Sharon Dijksma, has even stated that she could not disclose who owns Morgan as that was dependent "on the intentions of and agreements made by the private parties involved in this case – Dolfinarium Harderwijk, Loro Parque and SeaWorld." These three entertainment businesses from across two continents appear to have been working together from the very beginning, both in plain sight of and at times out of view of the legal authorities. All three seem to have benefited from this relationship. In 2013, the USA federal Securities and Exchange Commission posed questions, regarding Morgan's ownership, to the President and CEO of SeaWorld at the time, Jim Atchison. 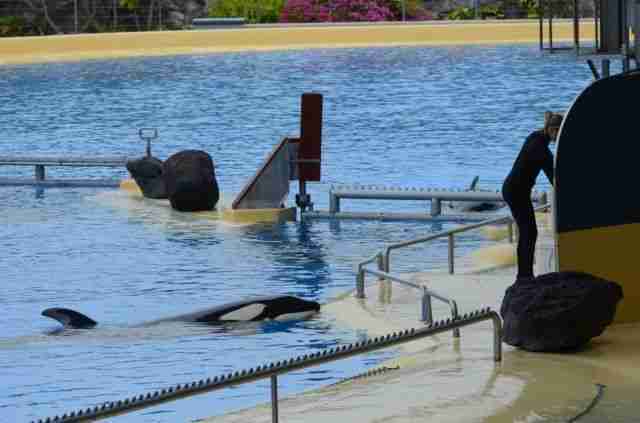 The reply indicated that SeaWorld claimed her under a 'breeding loan' agreement between themselves and Loro Parque. The agreement cited was signed in 2004 and was intended for the original four orcas sent to the Spanish park from the USA. Therefore, it not only predates Morgan's capture from the wild by six years, it could not have foretold of her arrival into captivity. "There is some double dealing going on with SeaWorld's accounting for the number of their whales held at Loro Parque," Visser said. "The documentation they produce consistently reports discrepancies of one orca. When these numbers don't add up, it isn't as if SeaWorld have just acquired a microwave, we are talking about an asset that has a huge accumulative value. By claiming to own her, they are misrepresenting the value of the company." One of the most frustrating revelations for Spiegl has been the Dutch Government's apparent disregard for its state obligation toward Morgan as a wild-born or res nullius (nobody's property) marine mammal. Spiegl said, "The Dutch Government was entrusted with ensuring her well-being when it authorized and assisted Dolfinarium Harderwijk to take Morgan from the Wadden Sea under the rescue, rehabilitation and release provisions. That responsibility hasn't gone away. Thereafter, Morgan should have been treated as a ward of the Kingdom of the Netherlands, held in public trust on behalf of all of society." Spiegl and Visser level harsh criticism against not just SeaWorld, Loro Parque and Dolfinarium Harderwijk, but against the gatekeepers too – the Convention on the International Trade in Endangered Species of Wild Fauna and Flora (CITES) Management Authorities for Spain and the Netherlands and even the USA's National Marine Fisheries Service (NMFS). CITES and NMFS have both been sent a copy of the white paper, as have at least ten other relevant governing bodies, policy makers and legislators throughout Europe and the USA. At this time, the Secretary-General of CITES, John Scanlon, has passed on his thanks in receipt of the white paper, stating that concerns highlighted within it are being carefully noted. NMFS has also acknowledged receipt of the paper and indicated that, following further review and consultation with the US Marine Mammal Commission, a detailed response would be provided. The white paper has also been sent to Assemblymember Richard Bloom who, last year introduced the ground-breaking Californian Orca Welfare and Safety Act (Bill AB 2140), as well as to Congressman Adam Schiff who just this month introduced the federal Orca Responsibility and Care Advancement (ORCA) Act in the USA. Both unprecedented pieces of legislation would ultimately phase out orca captivity by banning the display of orcas for entertainment purposes and prohibiting captive orca breeding programs. Given that SeaWorld owns all but one of the orcas on display in the USA, these proposed laws would have big impacts on the company. They may also have an effect on Morgan, because under USA law, as a marine mammal owned by SeaWorld (if this is in fact the case), she and the other orcas held at Loro Parque are still governed by USA legislation. In the time that Morgan has been held in captivity, the tide of opinion about orcas displayed for entertainment has changed dramatically. This has apparently been largely as a result of the critically-acclaimed 2013 'Blackfish' documentary leading to what has been coined the 'Blackfish Effect.' This, amongst many other efforts, has seen an increased awareness about the plight of captive orcas, as well as leading to the creation of new legislation. Europe, where Morgan's controversy centers, has experienced a marked change in attitude on the issue. A new coalition of organisations and individuals from across Europe and other parts of the world was formed in 2014 and is working to affect a change for captive cetaceans (whales and dolphins) at national and international European policy level. Additionally, two European marine entertainment captivity parks have recently closed for good, illustrating again that public opinion is changing. Visser's and Spiegl's contemporary policy paper presents itself as complimentary to a mosaic of work being carried out around the world in an attempt to seek an end to orca captivity. It brings specific attention to the predicament that rescued cetaceans in particular might end up in. The white paper unveils the ethically questionable and potentially corrupt practices of an industry that is forcing sentient individuals to survive in artificial conditions that, as science would suggest, they simply cannot thrive in. Dr. Naomi Rose, Marine Mammal Scientist with the Animal Welfare Institute, is heavily involved in this work that is taking place to phase out orca (and other cetacean) captivity in both the USA and Europe. In speaking about rescued cetaceans like Morgan, Rose explained, "For decades, the marine mammal public display industry has operated with relative impunity in terms of determining when a rescued marine mammal is 'unreleasable.' This has led to a number of animals over the years being retained for display when they were originally rescued from strandings or other situations requiring human intervention." Rose said that the industry has held onto some of the rescued animals that should have been returned to the wild because infusion of new genes is needed for captive breeding programs. "Morgan is a classic case," stated Rose. "She legitimately needed rescue, but rather than treating her as almost all other rescued (terrestrial as well as marine) wildlife is, her case was manipulated by the industry – and the authorities in the Netherlands, Spain, and the US were complicit, even if only through non-action – to allow her to be sent to Loro Parque to be bred with captive-born orcas and displayed even though she was a strong candidate for return to the wild after her rehabilitation. But even worse, she has now somehow become the commercial property of a US corporation, despite being rescued and held in Europe under European law." According to a study undertaken by leisure industry expert Dennis Speigel (no relation to the white paper author), each SeaWorld orca is worth $15-20 million USD. Therefore, if Morgan is worth that much and she additionally produces 2.8 calves, which is the number of calves the average female orca at SeaWorld will give birth to during her lifetime, then the (conservative) projected asset valuation of Morgan to SeaWorld and its stockholders would be just under $60 million USD. This figure doesn't account for the value of an entirely new bloodline for SeaWorld's breeding program. "Morgan has fallen between the cracks and this is not the first time this has happened," Rose stated. "It's just the most obvious case in recent years and the white paper by Dr. Visser and Mr. Spiegl does a masterful job of digging down into the weeds to clarify how such a thing could happen." 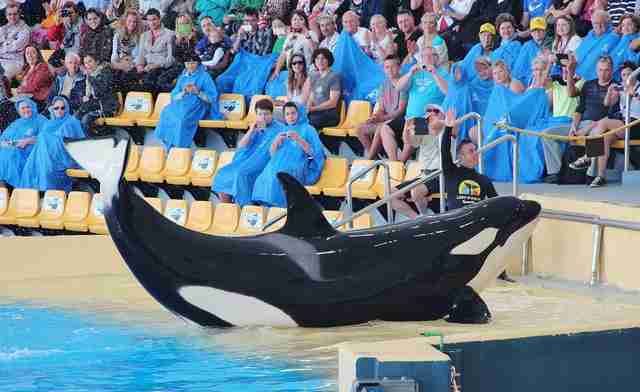 She added, "Make no mistake, Morgan's use by a Spanish facility in a commercial display and breeding program, all on behalf of SeaWorld Entertainment in the US, is not the result of any established, legal process – it is the result of neglect and apathy by all the relevant authorities." So what could this white paper mean for the little laundered orca? In the short-term, Morgan might finally be protected from Loro Parque's attempts to breed her with its sexually mature male orcas. The permit that the Spanish park currently holds to keep Morgan stipulates she can only be used for scientific research, thus excluding that Morgan can be used for breeding. Regardless of this, Loro Parque deliberately places Morgan with an adult male orca, owned by SeaWorld, who has not only sired two calves already, but like the controversial SeaWorld orca Tilikum (who featured in 'Blackfish'), this male has also killed a trainer. A more long-term impact that the paper might have on Morgan, as well as other rescued cetaceans, could result from its exposure of the reported animal laundering that continues to go on in the marine entertainment captivity industry. Spiegl, who believes that Morgan deserves a chance at freedom, stated, "SeaWorld, Loro Parque and Dolfinarium Harderwijk should not get a free pass for their actions on the basis of dubious claims that there were no other options for Morgan but to send her to Loro Parque. There were other options and the fact that they weren't explored or that they were ignored because misinformation was released by the parks in question – who sought to gain from Morgan's permanent captivity – is not an excuse." Spiegl maintains that, "Even if something happens that cannot be undone, for example, Morgan falls pregnant and gives birth, these three parks must not profit through acts perpetuated by unclean hands." Spiegl is adamant that the laws and regulations need to be interpreted and enforced for the protection of the animals (wildlife) – not the convenience of the industry. Spiegl said, "There must be consequences for these bad actions, otherwise the regulations are meaningless." 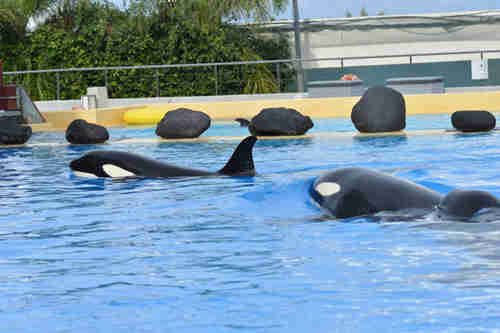 Both Visser and Spiegl feel that if the investigation they are calling for reveals that the applicable laws and regulations have been violated, SeaWorld, Loro Parque and Dolfinarium Harderwijk, all of which appear to have profited financially from Morgan's presence, should be held accountable and made to pay. In this case, the three parks might take responsibility and foot the bill for Morgan's repatriation to the wild, as is indicated by the United Nations Office on Drugs and Crime (UNODC). According to the UNODC, which belongs to the International Consortium on Combating Wildlife Crime along with INTERPOL, World Bank, World Customs Organization and CITES, "...consideration may have to be given to repatriating live animals to their countries of origin...and courts should consider imposing orders requiring that the offender bear such expenses." "At the time she was transferred to Loro Parque, Morgan was a suitable candidate for rehabilitation and release, yet she has been left to languish in a concrete tank," stated Visser, who has been working to return Morgan's freedom to her since the year Morgan was captured. "Morgan is a poster-child for all that is wrong with commercial facilities conducting these so-called 'rescues' and exploiting the animals for profit." What's next for Morgan? Spiegl said, "Now it is in the hands of the respective national and international authorities. It is their responsibility to cooperate with each other and to act in a coordinated manner. We have done our job to complete this whale laundering puzzle; we have compiled the historical research, identified the applicable laws and presented the relevant facts. There is only one piece missing – enforcement – and we can all see where that piece is supposed to go."